This historic hotel is situated on the beautiful coastline at Climping Beach in West Sussex. 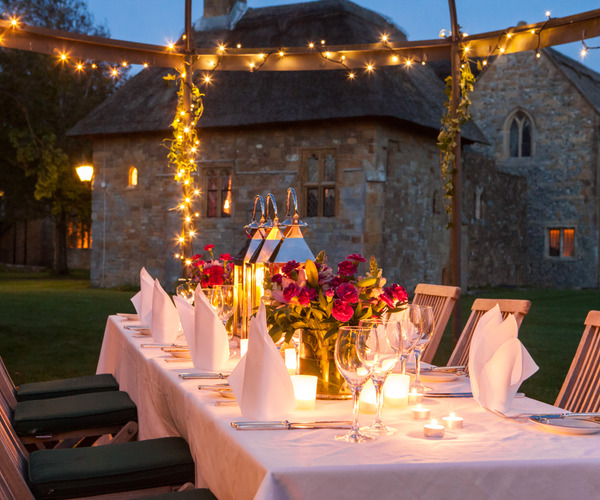 The medieval gothic style buildings are set in 30 acres of stunning countryside which lead down to the local untouched beach, creating the ideal surroundings for a luxuriously relaxing and peaceful experience. 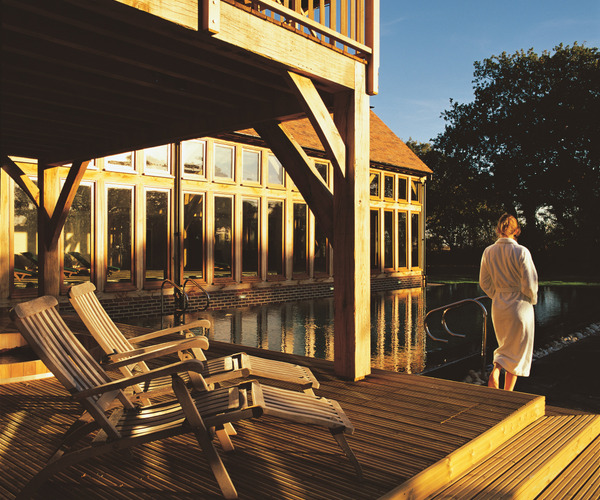 The Bailiffscourt Spa is a haven of tranquility set in the hotel’s gorgeous gardens. The outdoor infinity pool and calming treatment rooms create the perfect atmosphere from which to enjoy the spa’s great range of treatments provided by Temple Spa products. Using Temple Spa products and Leighton Denny Expert Nails the Bailiffscourt Spa provides its guests with a range of health and beauty treatments. Guests can choose from a variety of massages, body wraps, beauty treatments and facials and enjoy being pampered to perfection. The six luxury treatment rooms of the spa provide an idyllic place to enjoy the relaxing treatments from and the outdoor, heated infinity pool is the perfect way of unwinding after a workout in the hotel’s state of the art gym. As well as the outdoor pool there is a peaceful indoor pool and a jacuzzi for the hotel’s guests to enjoy. The stunning grounds accommodate tennis courts where guests can benefit from lessons or enjoy playing at their own pace. The Bailiffscourt Hotel also offers Yoga and Pilates to help guests stay in shape during their stay. The hotel also has several meeting rooms and event spaces making it the ideal location for a wedding in the countryside. The hotel’s 39 guest rooms are situated throughout the hotel’s different, picturesque buildings and provide guests with the comfort and luxury they need. Each room has a luxury en suite bathroom, satellite TV and stunning interiors. The hotel’s restaurant, Tapestry provides guests with a range of traditional British cuisine with a modern twist. The Medieval style decor of the restaurants creates a romantic dining experience for its guests.